Zidane left the club on top, like he did as a player, without the sour taste of a sacking from Florentino Perez on his CV. The French coach has a perfect record in Europe and will surely have his pick of jobs to come. Where will Zidane go next? After managing Real Madrid, there won’t be a better job available at club level. If Zidane sought out an equivalent role in another country, all the positions are filled. In Italy, Massimiliano Allegri has committed his future to Zidane’s former club Juventus while Carlo Ancelotti has been appointed Napoli manager. In Spain, Ernesto Valverde won’t be leaving Barcelona, nor will Diego Simeone at Atletico Madrid. In Germany, Bayern have appointed Niko Kovac to replace Jupp Heynckes while Lucien Favre will take over Borussia Dortmund next season. In France, Thomas Tuchel will be Paris Saint-Germain’s new manager and Leonardo Jardim doesn’t appear to be leaving AS Monaco. At club level, Zidane doesn’t have many obvious options, which could lead to him holding out for a job with the national team – Didier Deschamps could leave France is Les Blues underperform at the 2018 World Cup. Who will replace Zidane at Real? Tottenham Hotspur manager Mauricio Pocchetino is the bookies’ favourite to replace Zidane at Real Madrid this summer, with former Arsenal boss Arsene Wenger second in the running. Chelsea’s Antonio Conte is third in the list. Perez has a difficult decision to make on who to appoint as the next head coach with so many stellar managers currently in jobs. 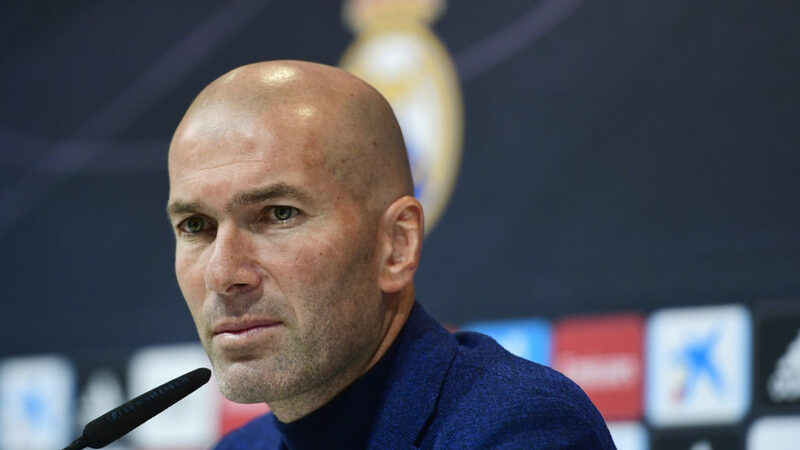 Real don’t mind a short-term appointment, as success is always gleamed by winning trophies, but the direction of the club is now in doubt as Zidane held the squad together. He managed a team full of strong personalities and didn’t need to drastically overhaul the existing squad to win major honours, but his successor might require a different approach. Zidane’s departure means Gareth Bale is now likely to stay at the Santiago Bernabeu, having recently expressed his frustration with a lack of playing time last season. A new head coach means a clean slate for the Welsh international. Marco Asensio and Isco could also commit their futures to Real, with the pair being linked with moves away as a result of their sporadic starts under Zidane. It’s worth noting the departing manager admitted himself that the squad need a different approach as he felt standards were starting to slip. “I think the players need a change. It’s not easy for them. It’s a demanding club and the players are always squeezed.I want to win and if I don’t see clearly that we’re going to keep on winning, then it is best to change and not do anything stupid,” he added. Zidane may take a rest this summer before making a decision on his managerial future.